2 Why Did the Attack on Pearl Harbor Occur? 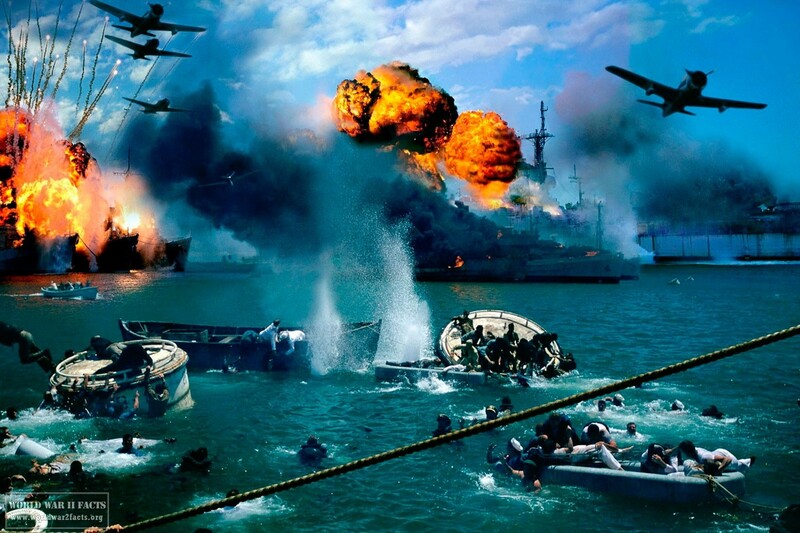 Why Did the Attack on Pearl Harbor Occur? aggression in the Far East. The Japanese subsequently saw these moves as a certainty that if they invaded British Southeast Asia that the U.S. would enter the war. As a result, The Japanese leadership decided that a pre-emptive strike and Philippine invasion was the only way to avoid American interference with their plans. 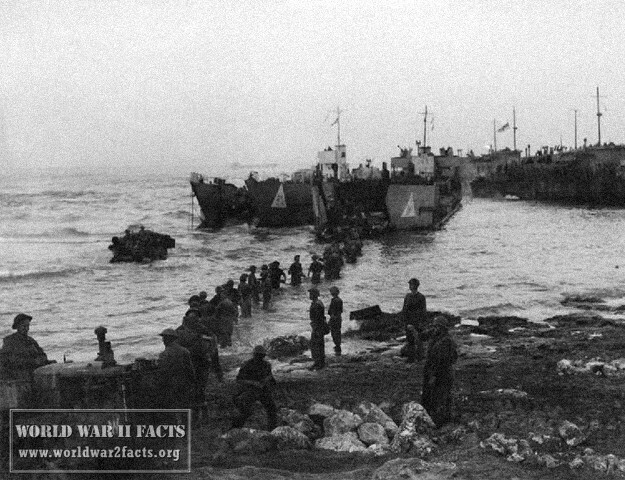 When the U.S. cut-off oil exports to Japan in July, 1941 after Imperial forces invaded Indochina following the fall of France, the Japanese were forced to seize and secure new sources of raw materials and preceded with attack plans against Pearl Harbor. Arizona: Exploded; total loss. 1,177 servicemen killed. Oklahoma: Capsized, 429 dead. Refloated November 1943; capsized and lost while under tow to the mainland May 1947. West Virginia: two bombs, seven torpedoes, sunk; returned to service July 1944. 106 servicemen killed. California: two bombs, two torpedoes, sunk; returned to service January 1944. 100 servicemen killed. 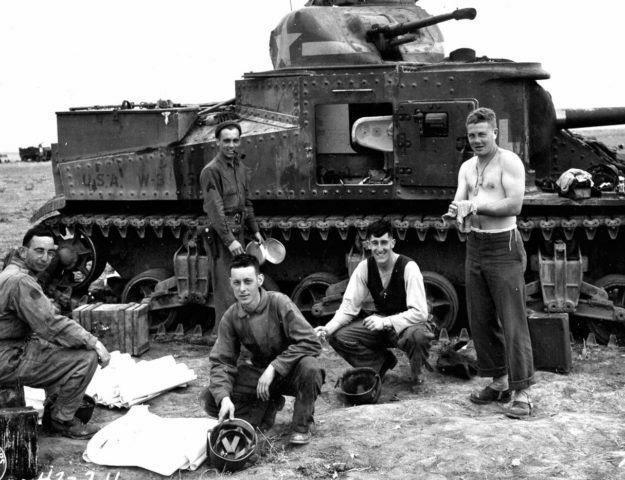 Nevada: six bombs, one torpedo, beached; returned to service October 1942. 60 servicemen killed. Tennessee: two bombs; returned to service February 1942. 5 servicemen killed. Maryland: two bombs; returned to service February 1942. 4 servicemen killed. (including floatplane pilot shot down). Pennsylvania (Kimmel's Flagship): in drydock with Cassin and Downes, one bomb, debris from USS Cassin; remained in service. 9 servicemen killed. Utah: Capsized; total loss. 58 servicemen killed. Helena: One torpedo; returned to service January 1942. 20 servicemen killed. Curtiss (seaplane tender): One bomb, one Japanese aircraft; returned to service January 1942. 19 servicemen killed. The wrecked destroyers USS Downes (DD-375) and USS Cassin (DD-372) in Drydock One at the Pearl Harbor Navy Yard, soon after the end of the Japanese air attack. Cassin has capsized against Downes. 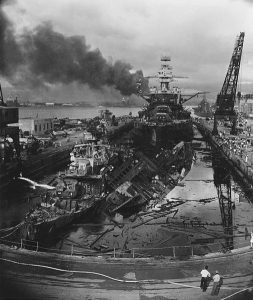 USS Pennsylvania (BB-38) is astern, occupying the rest of the drydock. The torpedo-damaged cruiser USS Helena (CL-50) is in the right distance, beyond the crane. 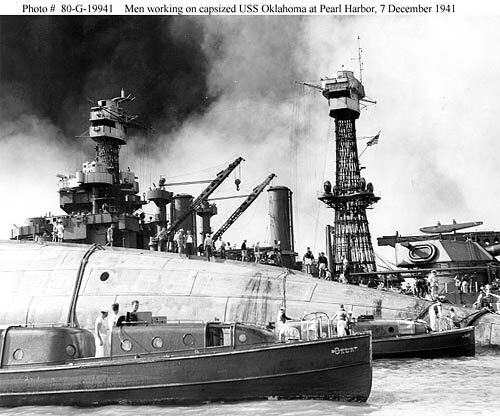 Visible in the center distance is the capsized USS Oklahoma (BB-37), with USS Maryland (BB-46) alongside. 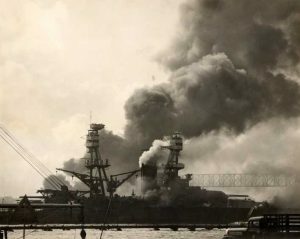 The smoke is from the sunken and burning USS Arizona (BB-39), out of view behind Pennsylvania. USS California (BB-44) is partially visible at the extreme left. 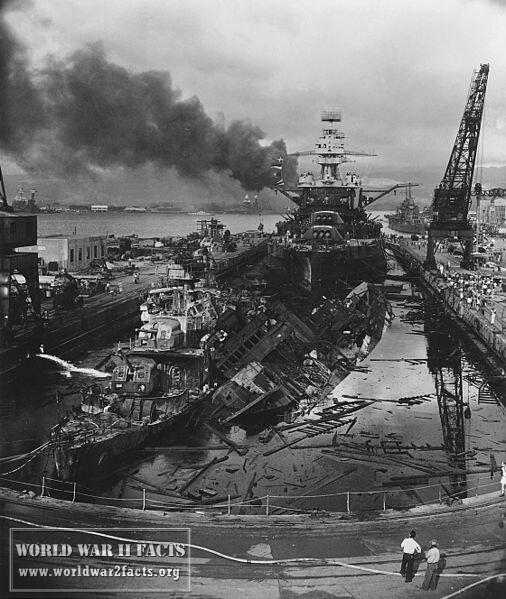 The Japanese intended the Pearl Harbor attack to be a pre-emptive action against the United States to keep the American fleet out of action while the Empire of Japan expanded throughout Asia. The Imperial Fleet launched 335 Japanese bombers, fighters, and torpedo planes in two waves from six aircraft carriers against Pearl Harbor. The attack resulted in all eight U.S. Navy battleships being damaged, and four being sunk. Six of the eight would be returned to service with only two being lost for service. A total of 188 U.S. aircraft would be destroyed in the attack along with three cruisers, three destroyers, one mine layers, and one anti-aircraft training ship being sunk or damaged. In total, 2042 Americans would be killed with 1,282 wounded. Surprisingly, the Japanese did not attack the submarine piers, shipyard, fuel and torpedo storage facilities, or power station during the attack. 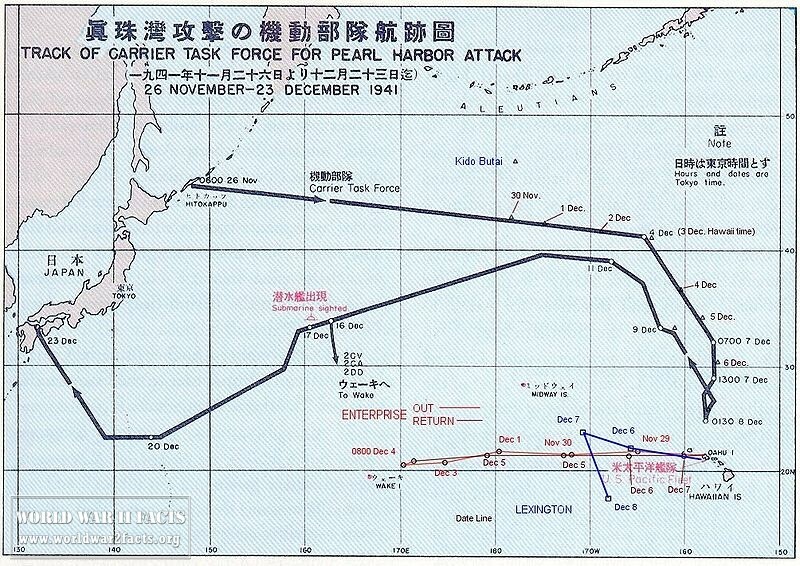 Japanese losses were relatively light from the Pearl Harbor attack. The Imperial Navy lost five midget submarines, 28 aircraft, had 65 KIA or wounded, and one sailor was captured. Men working onboard the USS Oklahoma on December 7th, 1941. In more modern terminology, the Japanese are considered by many to have strategically snatched defeat from the jaws of victory in World War 2 with their tactical victory in the Pearl Harbor attack. Unknown to Japanese planners at the time, the United States had adopted “Plan Dog” in 1940 that would emphasize keeping the Imperial Navy out of the eastern Pacific and focusing on keeping the shipping lanes to Australia free while focusing on defeating Germany. Whether by fate or sheer luck, the U.S. aircraft carriers would not touched by the attack on Pearl Harbor which resulted in the Pacific Fleet retaining the ability to conduct offensive operations in the short term. Once the battleships were repaired, they would be used primarily in a shore bombardment role while carriers would prove to be the deciding naval asset during the war. This coupled with the Japanese decision to not launch a third attack wave against Pearl Harbor infrastructure would prove to be deciding factors in the Pacific Theater during World War 2. 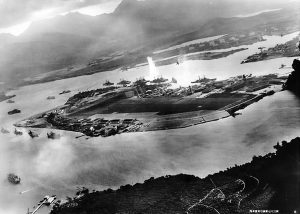 Guarding The United States And Its Outposts, in Guarding the United States and Its Outposts Official U.S. Army history of Pearl Harbor by the United States Army Center of Military History Last accessed 30 November 2013. United States Declaration of War on Japan, 1941, Last Viewed 4 December 2013. Video of first Newsreel from December 23, 1941 attack on Pearl Harbor, Last accessed on 30 November 203. Attack on Pearl Harbor 1, Nippon News, No. 82. in the official website of NHK. Last accessed on 30 November 2013. Attack on Pearl Harbor 2, Nippon News, No. 84. in the official website of NHK. 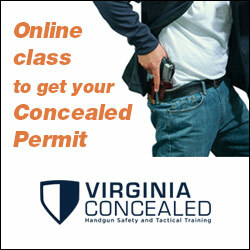 Last accessed on April 11,2013. U.S. 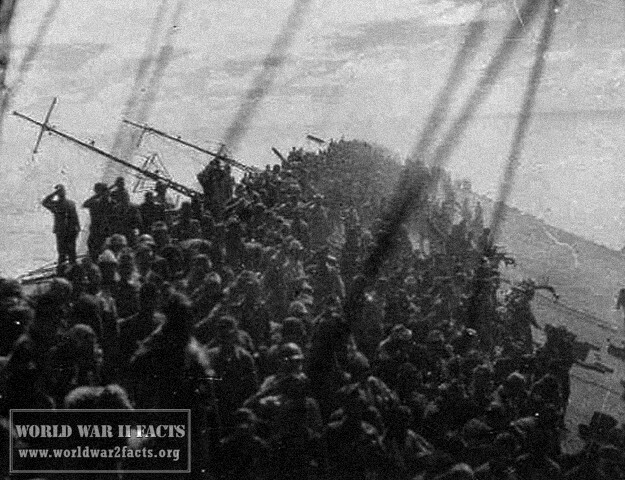 Declaration of War on Japan, WorldWar2Facts.org, Last Viewed: December 7th, 1941. The Hull Note, WorldWar2Facts.org, Last Viewed: December 7th, 1941.